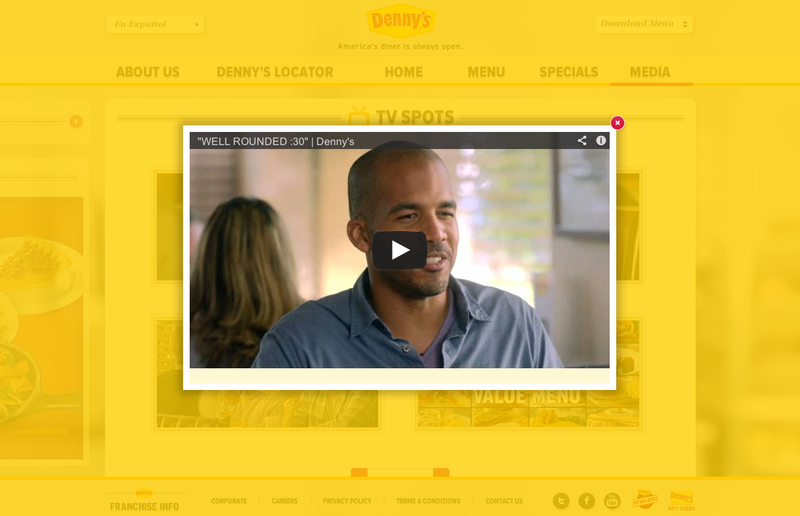 The Denny's site presents all of its content on one continuous screen. The six pages--About us, Denny's Locator, Home, Menu, Specials, and Media--are lined up and house a series of related modules that can be collapsed and expanded to optimize each user's experience. 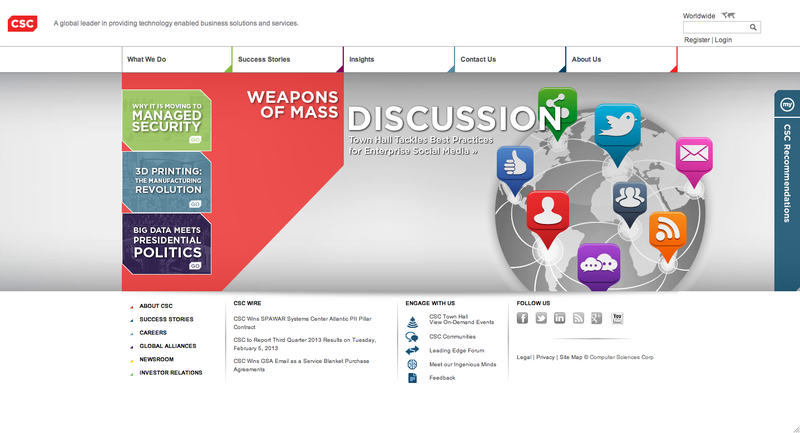 Users can navigate the entire site with simple JQuery animations and no reloading. 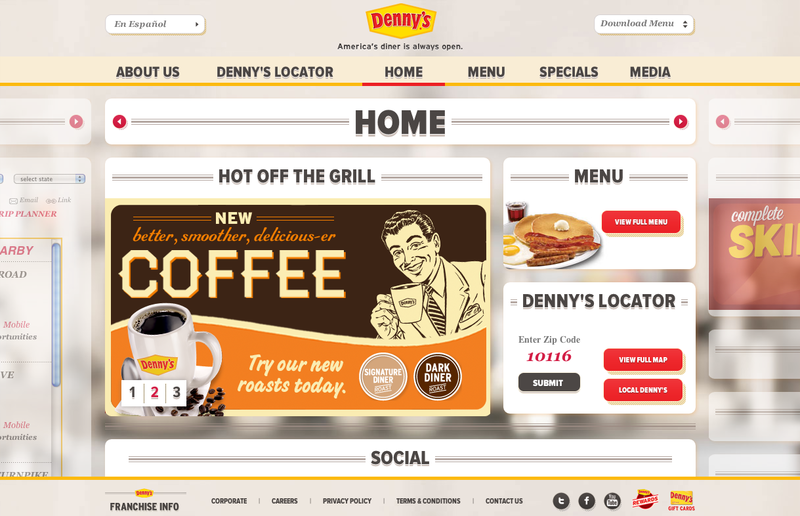 The Denny’s site presents all of its content on one continuous screen. 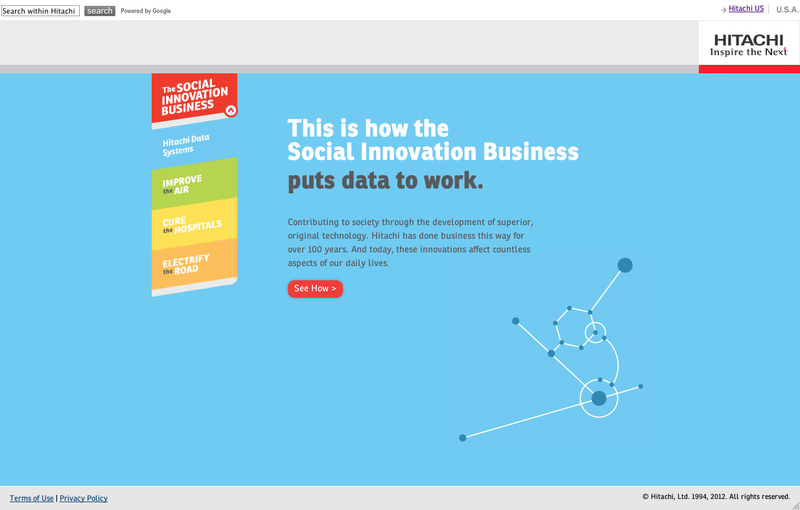 The six pages–About us, Denny’s Locator, Home, Menu, Specials, and Media–are lined up and house a series of related modules that can be collapsed and expanded to optimize each user’s experience. Users can navigate the entire site with simple JQuery animations and no reloading. Drop Down navigation allows users to pick which precise module they wish to view. Selection triggers a custom Jquery class to scroll over to the new page, down to the module, and, if closed, open it for the user. 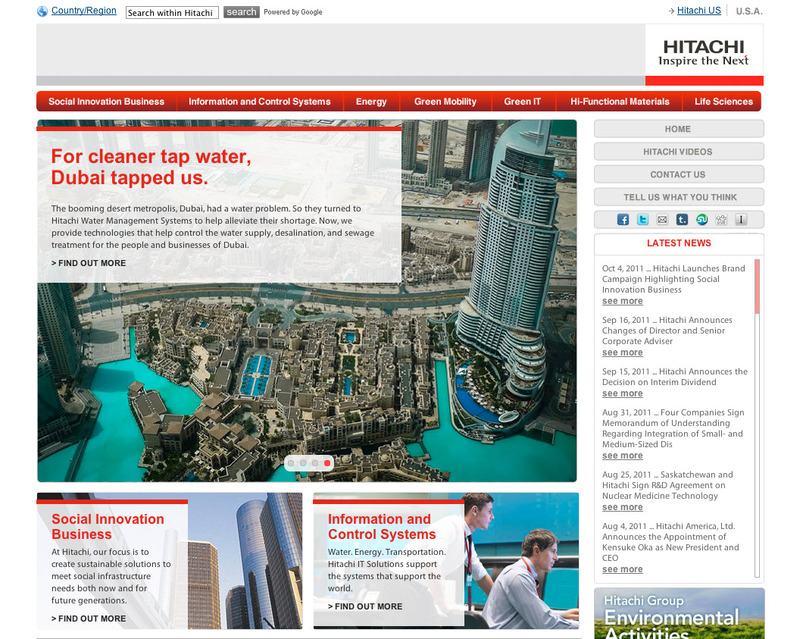 The experience is elegant, smooth, and allows the user to maintain a visual sense of location within the whole site. 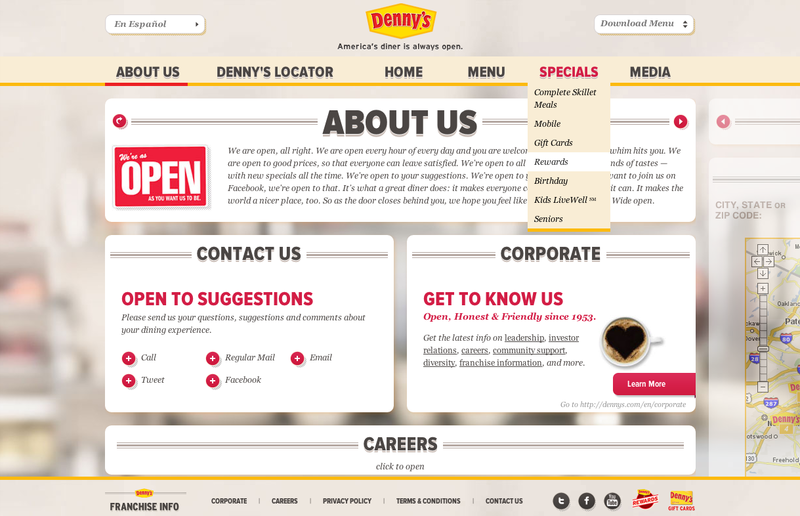 More detailed information, such as videos, are viewable through popups that highlight the content while maintaining the overall context of the Denny’s website.